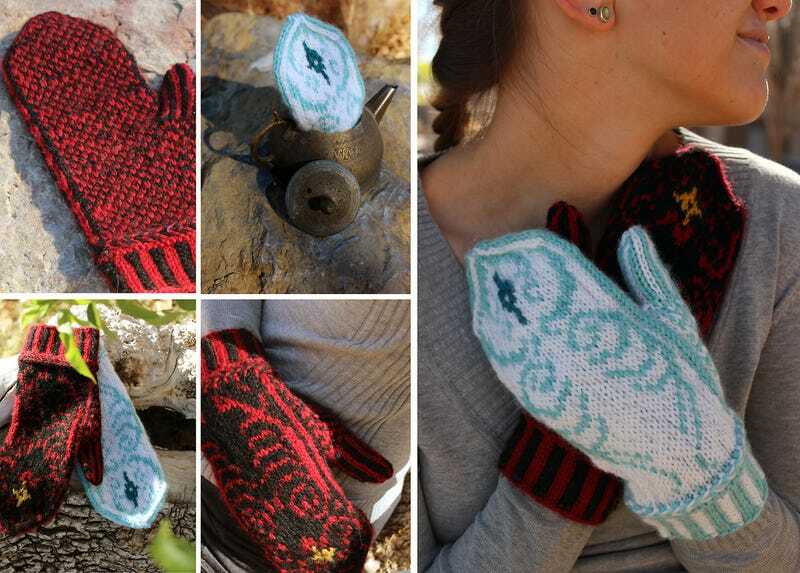 You can enact your own Legend of Korra spiritual puppet show with these mittens, modeled after Raava, the spirit of peace and light, and Vaatu, the spirit of chaos and darkness. Just have an arm wrestling match to decide who will emerge victorious during Harmonic Convergence. Kate of critknits came up with these Avatar-inspired mittens, and she has the pattern available for sale at her Etsy shop. And you if ever wanted to cosplay Avatar Wan, you could always stick the Raava mitten in a teapot and carry it around.